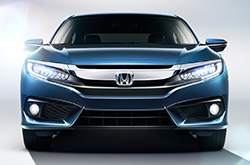 The 2016 Honda Civic has been fully redesigned for its most recent model year. Sporting a brand-new grille, larger body frame and a "more mature cabin," according to Edmunds' 2016 Honda Civic review, the bestselling sedan springs into this model year with agility, grace and power. To find out more about this generation of the 2016 Honda Civic near Phoenix, take a look at the rest of our Civic review below. 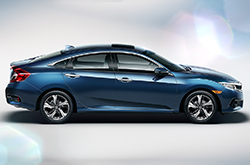 This model year, the 2016 Civic loses its hybrid and natural gas versions, while gaining a four-door hatchback. 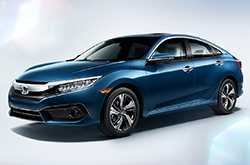 This leaves the Civic with three available body styles: sedan, coupe and hatchback; a level of options that many compact cars in its class lack. Drivers will also find a Civic Si and a Civic Type R that speak to those who want more high-performance equipment out of the auto. Available features on the 2016 Civic include automatic headlights, a tilt-and-telescoping steering wheel, a rearview camera, a sunroof, foglights, automatic climate control, cruise control, LED daytime running lights, Honda LaneWatch, and keyless entry and ignition, just to name a few. Engine options available on the 2016 Honda Civic in Phoenix depend on the specific model you choose. The standard engines on both the Civic sedan and coupe are a 158-hp 2.0-liter four-cylinder and a turbocharged 1.5-liter four that generates 174 horses, while a turbocharged 2.0-liter four will most likely power both the Type R and the Si. Drivers can also choose between a six-speed manual transmission and a continuously variable transmission (CVT), though drivers will find better fuel economy with the CVT. Standard safety equipment available on the 2016 Civic includes stability control, side curtain airbags, antilock disc brakes and front side airbags. The previously mentioned Honda LaneWatch is also available, depending on the trim you choose, as is the Honda Sensing safety package that includes everything from forward collision alert and lane-departure warning to adaptive cruise control and lane-departure intervention. For more information about the 10th generation of the Honda Civic, continue browsing the rest of our 2016 Honda Civic review below. Is the Civic Right for You? The 2016 Kia Forte, Chevrolet Cruze, Ford Focus and the Hyundai Elantra are beat out by the 2016 Civic in quite a few areas. If the Civic's cutting-edge incar technologies and exquisite exterior design don't persuade you that it's the right vehicle for you, we're sure its budget-friendly cost will. Compare its price to the competition and you'll see that it's a fabulous value, which is one of the main reasons why so many Phoenix drivers select it. Glance over our Quick List under this paragraph to find out more! Make the search for your next car easier with Bell Honda's reviews, like the 2016 Civic overview above, as well as other Honda reviews in our gallery. As the chief Honda franchise in Phoenix it is our mission to provide our customers with reviews drafted by the most knowledgeable Honda writers around. Everything perspective car buyers need to make educated decisions is right here, including info regarding safety technologies and other specs. Each summary is brimming with accessible data and specs - all at your fingertips. Is the Civic not right for you? 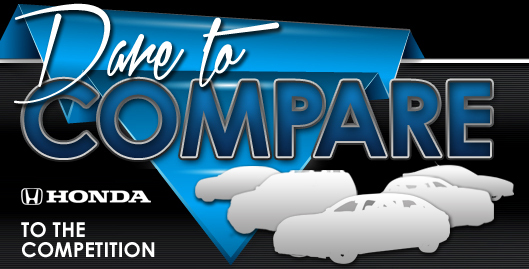 Use our Honda reviews and car comparisons to learn about other incredible vehicles on sale at Bell Honda.